On Tuesday July 21, Oaxaca Governor Gabino Cué, took a major stand on education, shutting down the state’s educational institute and effectively marginalizing the power and control of the dissident teachers’ union, CNTE. Flanked by Public Education Secretary Emilio Chuayffet and Eduardo Sánchez, official spokesman for the president’s office, Cué announced the dissolution of the Oaxaca State Institute of Public Education (IEEPO), putting an end to the union’s nearly 23 years of absolute control over education policy in Oaxaca. The CNTE, short for the National Coordinator of Education Workers is a nationwide dissident faction of the larger National Syndicate of Education Workers, or SNTE. In Oaxaca, the CNTE local Section 22 has been in charge of naming IEEPO officials since 1992. “Through this transcendental, lawful act, the government of Oaxaca will regain control over education in the state. A new autonomous and decentralized institute of education will be created to replace IEEPO after its dissolution, thus guaranteeing the full application of constitutional mandates on education,” Cué said. “We are giving the children and youth of Oaxaca the opportunity to have the quality of education they deserve,” said Cué, adding that his government will have an open-door policy with all teachers while keeping education and students a top priority. The Education Secretary said Gov. Cué has the full support of the federal government and the Public Education Secretariat (SEP) in his decision to dissolve IEEPO, and will collaborate closely as the Oaxaca government takes over the state’s education. “[Gov. Cué´s] reform lawfully frees teaching professionals, while being respectful of their individual and collective rights,” said Chuayffet. He also observed that the education reform promoted by the federal administration seeks to provide quality education to all Mexicans, and address deficiencies. “Oaxaca will now have a just and professional governing institution that will guarantee a quality education for the state’s students and fair conditions for teachers, allowing them to develop professionally according to their own merits,” he asserted. Cué was clear on the new institute’s responsibilities with regard to teacher salaries: “If a teacher isn’t teaching, he or she won’t get paid. 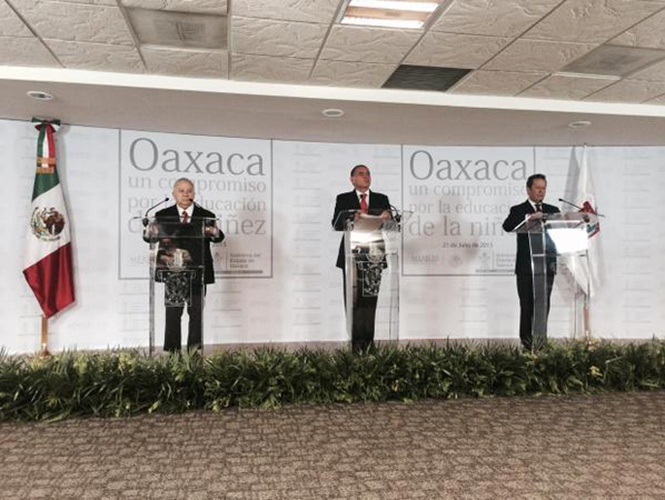 “I have confidence that the teachers of Oaxaca will understand this transition. Oaxaca can’t afford to keep falling behind. Our main concern must be our boys and girls,” said the governor, who has faced strong criticism during his term for an apparent lack of will to address the state’s education issues. The school year begins on August 14, and Cué was confident that teachers will attend to their responsibilities. Teachers’ union leader Rubén Núñez described Cue’s move as “treason” and vowed that the union would continue its resistance. Nevertheless, the dissident CNTE teachers’ union has categorically rejected Oaxaca Gov. Gabino Cué’s decision to dissolve the Oaxaca State Institute of Public Education (IEEPO), which has been under union control for the past 23 years. 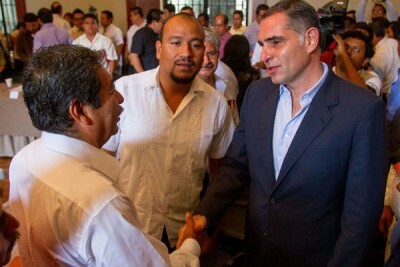 Rubén Núñez, leader of CNTE’s Section 22 local in Oaxaca, described the move as a provocation on Cue’s part, and warned the union is on high alert and will begin to mobilize in a matter of hours. He said its political secretariat has called an urgent meeting to assess the unanticipated development, announced this morning. Núñez noted that even if IEEPO disappears, education reform will not be applied in the state. For his part, Joaquín Echeverría, leader of Section 59 of the National Union of Education Workers (SNTE) of Oaxaca, said Section 22 will surely protest the measures taken by Gov. Cué. “I see hard times coming as I don’t expect the [CNTE] to remain with its arms crossed. What the state government must do is approach and talk to those Section 22-affiliated teachers who oppose the mobilizations and protests, because for the most part they are supported and promoted only by the leadership; teachers at the base have no other option but to do what they are ordered to,” said Echeverría. 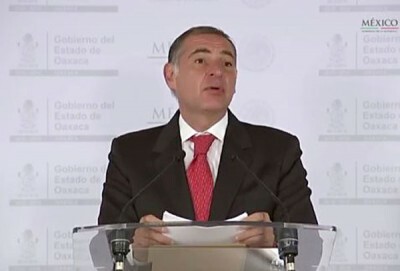 National leader of the SNTE, Juan Díaz de la Torre, concurred with Echeverría, declaring that “despite there being groups that will oppose Gov. Cué’s decision, the majority of teachers support the reforms [to the education system of Oaxaca].